Is it possible to deep link the different state of the webhook like "Driver Accepted", "On Trip", "Receipt Received" to the uber app. I am creating a wear app which can't render all the information (Eg: map, turn to turn navigation). If we could specify an intent to the Uber app to specify these values of webhook, it will be good. Hi, I did a real request of Uber Request API. I see the offical Uber app also showing notifications and ride details. So, when I use the request API, both Uber app and my webhook will get these notifications. So, its up to the app implementer to decide whether he wants to show these different states of journey to be integrated into his app or not. Since a Request that is made in a 3rd party application is done on behalf of an Uber rider, the status and all details of those Requests will be available within the official Uber apps. 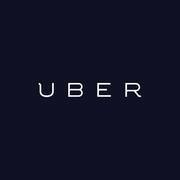 This means that if a user chooses to open the Uber app after making a Request with your application, they will have complete functionality as if they made the Request normally. This also means that a user can perform the standard actions against a Request within an official Uber app, including canceling. Because of this, your application should always rely on the information provided by the Request endpoint to provide the real time status and details of a Request.